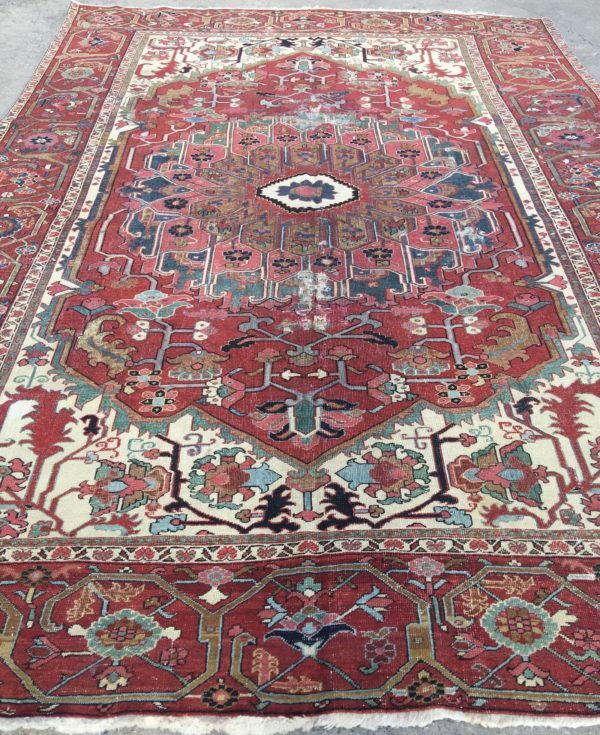 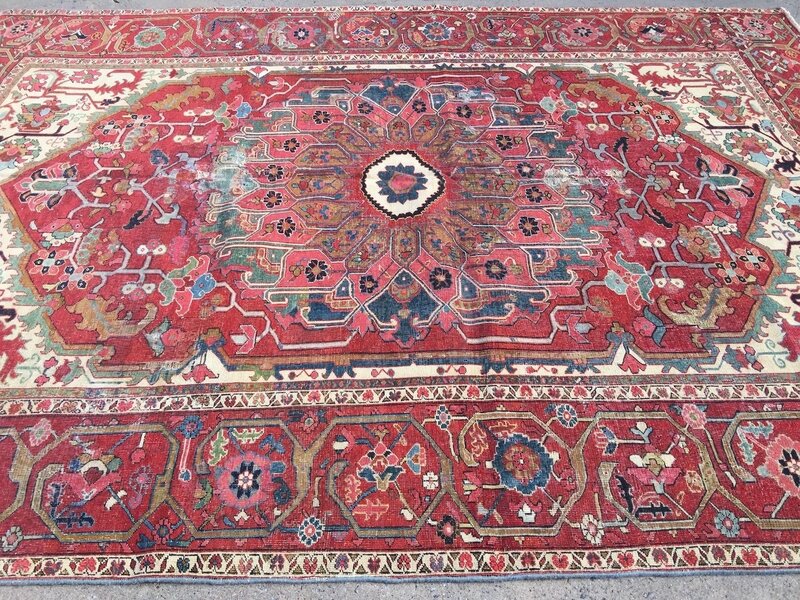 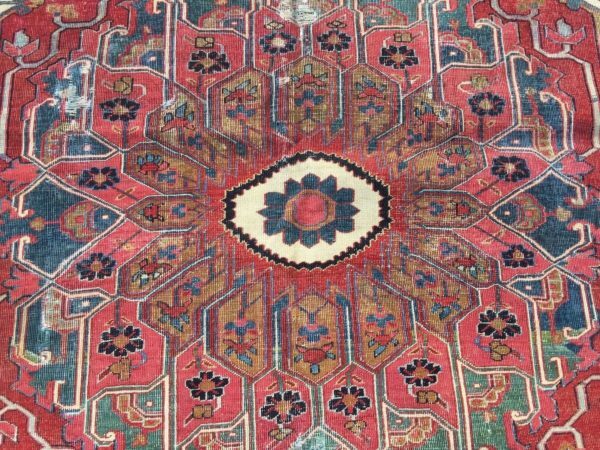 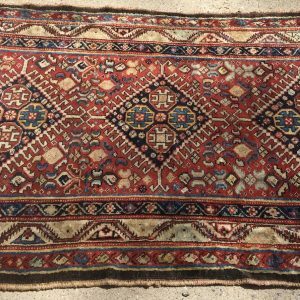 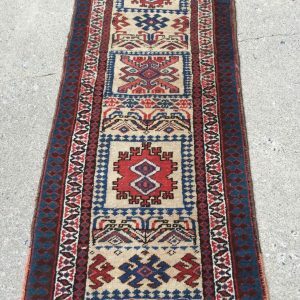 9’6X13’2 Antique Persian Serai carpet. 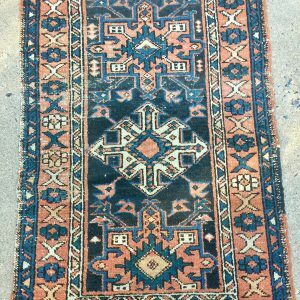 Well worn, great color and design. Update: there has been some restoration on this rug, as well as a professional cleaning. 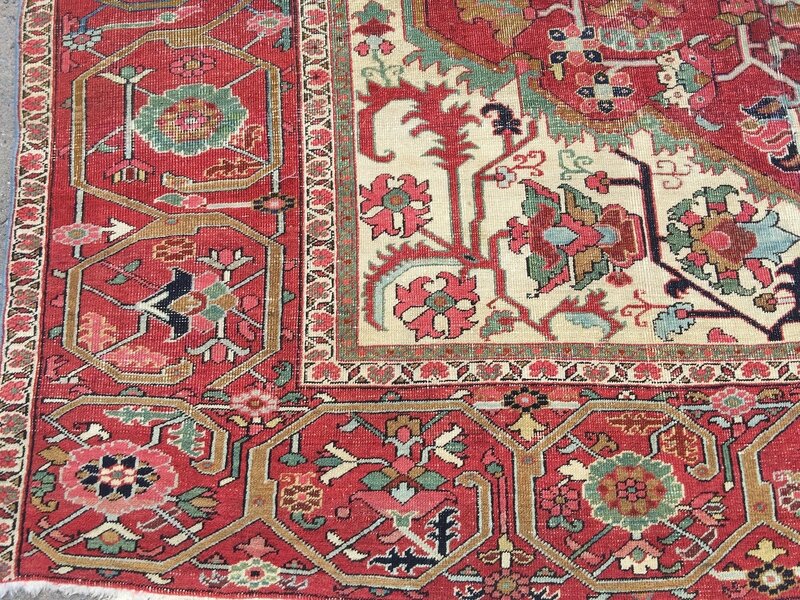 The color is exquisite! 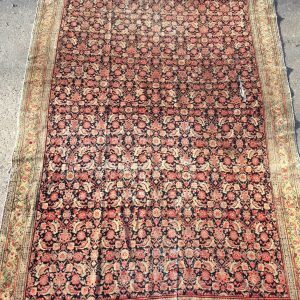 Several weak areas, the rug should be used out of major traffic areas. More work could be done to secure these areas.